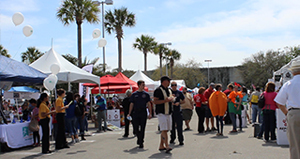 Oviedo, Fla. (January 31, 2019) – Oviedo-Winter Springs Regional Chamber of Commerce (OWSRCC) and the City of Oviedo are proud to announce the 25th Annual Taste of Oviedo will be held on Saturday, March 9 from 10am – 6pm, at Oviedo Mall, and as always, there is free admission. This year’s outdoor event, sponsored by Air Flow Designs Heating and Air Conditioning, will offer a wide array of local samples from restaurants, caterers and food trucks. Taste of Oviedo has over 30 food vendors participating and showcases many of Oviedo’s favorite local restaurants, including ten-time Best of Taste Winner TJ’s Seafood Shack and restaurant area sponsor Miller’s Oviedo Ale House. The Kids Taste Area will have free admission this year. This area has been expanded and is complimentary due to sponsorships by Oviedo City Church and Oviedo Medical Center. 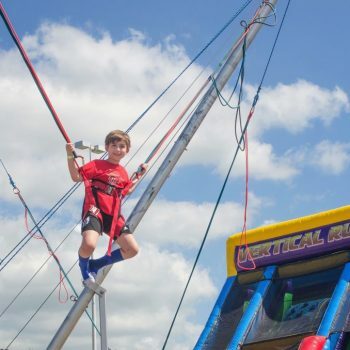 Rock climbing, bounce houses, water slides, rides, and many more exciting activities will be available at no charge all day. Live musicians and other performers will be on stage throughout this family-friendly community event. Taste also includes a showcase of over 200 local businesses, non-profits and arts and craft vendors. For more information regarding the event and sponsorships, please contact Paige Grasso at paige@oviedowintersprings.org or 407-278-4871. 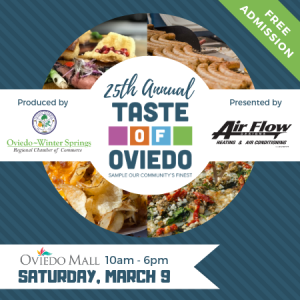 For more information about Taste of Oviedo, please visit www.TasteofOviedo.org. The Oviedo-Winter Springs Regional Chamber of Commerce is a private, not-for-profit business membership association. With corporate offices located at 376 N. Central Ave., near downtown Oviedo, the purpose of the chamber is to serve as an advocate for business and civic interests within our communities. For more information on the Chamber, please visit www.oviedowintersprings.org.